Microsoft has this week announced via the official Skype blog that they released a new way to make Skype video calls directly from a browser. The supported browser in question as you might’ve guessed is Microsoft’s new Edge browser and now requires no plug-ins to be installed for Skype communications. 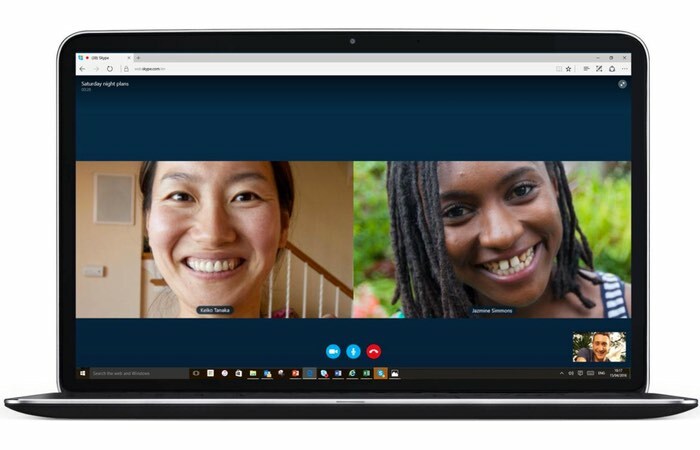 The new Skype real-time, plugin free voice, video and group video calling support is available via Skype for Web, Outlook.com, Office Online and OneDrive via Microsoft’s Edge browser. The new Skype calling is available thanks to the inclusion of the new ORTC media engine that was recently embedded in the Edge browser by Microsoft. Allowing you to communicate without any downloads or plug-in installs, Microsoft explains more. We want to make it easy for anyone to connect on Skype. It’s a simple idea that has led us to make Skype available on virtually every screen, from Windows and Mac computers, Windows Phone, Android and iPhone and iPad, even on Xbox. We know people don’t want to worry about what device the person they want to speak to has close by – they just want Skype to work. But it’s not only devices where you can use Skype. Skype on Office Online (Word, Excel, PowerPoint and OneNote) allows you to see and speak to your Skype contacts whilst you’re in an Office app, making it easier for you to co-author and collaborate together. You can also get to your conversations direct from Skype.com using Skype for Web, whilst you’re checking email on Outlook.com and your photos on OneDrive. Skype calls on the web are hassle free – for the hundreds of millions of you that use Outlook.com every day, to those that visit Skype.com wanting to make a call or anyone preparing a presentation on PowerPoint online; plugin free calling enables quick-fire chat and collaboration, making it easier to get things done together, with anyone, anywhere. No matter where you are, Skype calling on the web is now just a tap away, right there, ready to go. For more information on the new Skype Edge browser support jump over to the official Skype website for details following the link below.